CARRIE now with a baby to raise and a fast-tracked career as an overseas station chief, Carrie is forced to make difficult choices about the direction she wants her life to take. Meanwhile, SAUL, Carrie's long-time, no-nonsense mentor has been forced into retirement. Will he be able to stay in the intelligence game and keep tabs on Carrie while working for a private security firm in New York? In the wake of Israeli air strikes against Iran, the Middle East threatens to erupt in fresh violence. 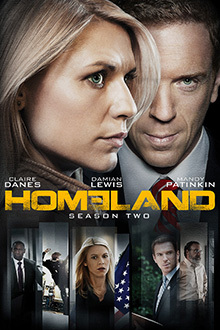 Carrie Mathison (Claire Danes), a brilliant, but volatile CIA agent, suspects that a rescued American POW may not be what he seems.